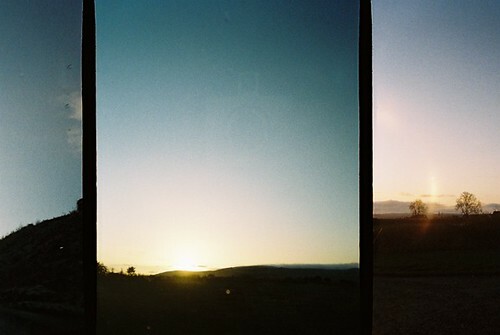 evening, a photo by Aoife B on Flickr. I got a roll of film developed last week but wasn’t too happy with the results unfortunately. Still, there were a few ones I liked, including this unintentional triptych. Sometimes with half-frame toy cameras the film gets stuck or during processing something occurs and you end up some triptychs rather than diptychs – the results can be kind of sweet. These were all taken out of car or train windows so it’s somewhat miraculous they turned out ok!